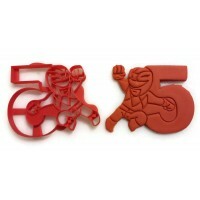 Power Rangers Cookie Cutter next to the number 5. Perfect for your kid's 5th year birthday party. Celebrate their fifth with the rangers! 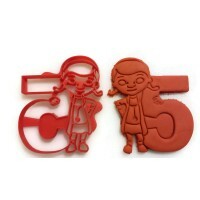 Doc McStuffins cookie cutter holding the number 5. Throw your kid a Doc McStuffins themed birthday party for their fifth year birthday!